Clean - Anchorage Downtown Partnership, Ltd.
For assistance, call or text for any security or maintenance needs. Maintain a clean, attractive and orderly downtown. 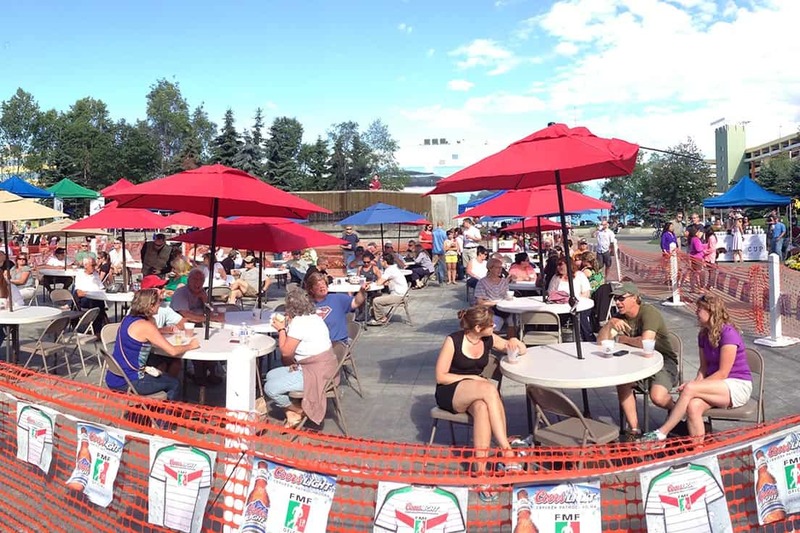 Ensure downtown Anchorage as the best place to live, work, shop, and play. Provide assistance for public space maintenance issues. Serve as Ambassadors of downtown for visitors, residents, businesses, and property owners. Partner with public entities in enhancing our community-based quality of life. 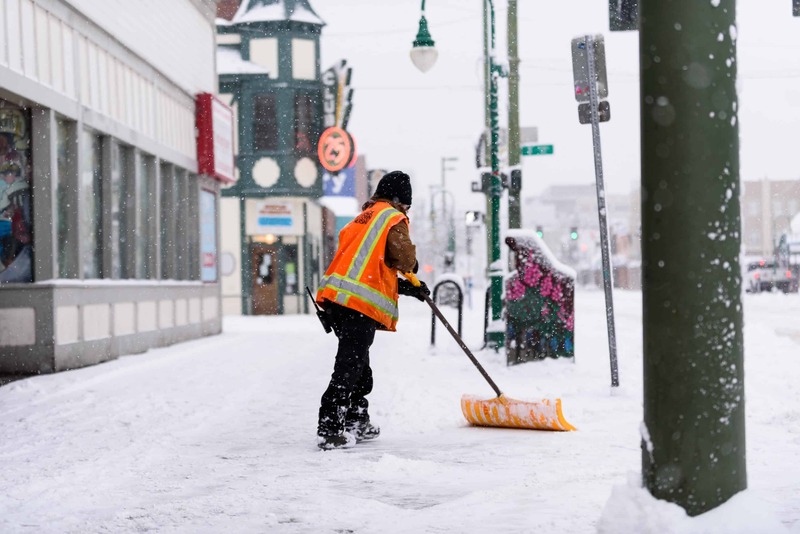 The Maintenance Ambassadors are easily recognizable in their orange work wear and work 7 days a week to enhance cleanliness and aid in snow removal within the DID. 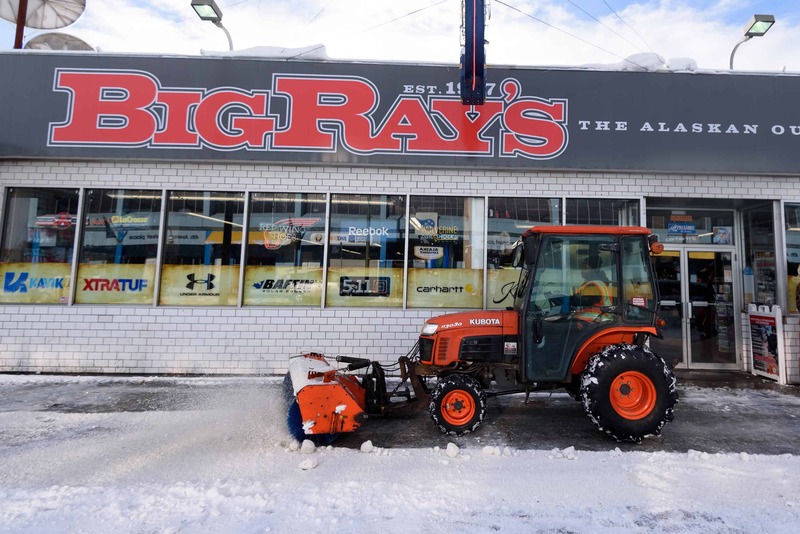 The entire DID is cleaned daily on foot or with various maintenance equipment, including trucks, RTVs, tractors, Sweepsters, Honda four-wheelers, and numerous other walk-behind sweepers, snowblowers and vacuums. The Maintenance Ambassadors also utilize Community Work Service workers to maximize both perceptions of and actual cleaning in the DID. In addition, the Maintenance Ambassadors established partnership with Veterans’ Industries and Assets, Inc. that have allowed ADP to reintegrate veterans into the work force and to provide an avenue for Alaskans with disabilities to solve their employment needs and live independently.